You will earn 4057.00 bonus points. ? 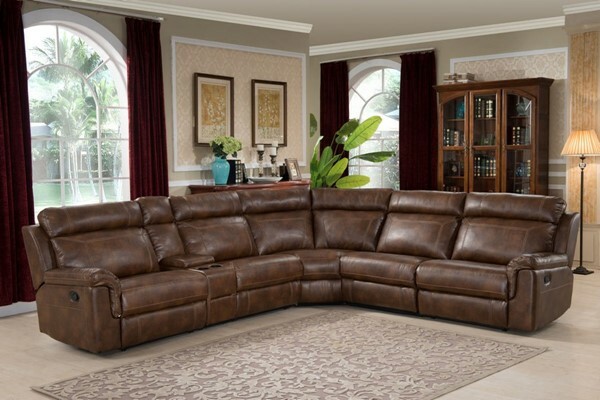 Are You Living Large Entertain And Relax Comfortably In Style With This Reclining Sectional. This Sectional Does Not Lack In Seating Space Or Looks.There'S Enough Room For Everyone To Recline And Enjoy Their Favorite Movie, Game Or Episode. The Sectional Features One Convenient Storage Console Equipped With Cup Holders So You Don'T Have To Spill Your Favorite Drink While Keeping Track Of All Your Precious Devices. Sit Back In Comfort, Express Your Sophisticated Taste Of Style, And Let Your Guests Envy Over This Great Sectional That Was Built To Last.